Mooney, Claudia. The Layton Art Collection: 1888–2013, Part 1. Milwaukee Art Museum: Under the Wings, April 16, 2013. http://blog.mam.org/2013/04/16/the-layton-art-collection-1888-2013-part-1/. Eastberg, John C. and Eric Vogel. Layton’s Legacy: A Historic American Art Collection 1888–2013. Milwaukee, Wisconsin: Layton Art Collection, Inc., 2013, pp. 9, 14, 78, 84, 88–93, 126–27, 131, 135, 288, 318, 326, 404–05, 456–57, color illus. p. 127, b/w illus. of installation pp. 16, and 135. Milwaukee Art Museum. 1888: Frederick Layton and His World. Milwaukee, Wisconsin: Milwaukee Art Museum, 1988, pp. 68–69 cat. 16, b/w illus. p. 69. Auer, James. A Legacy of a Toast. The Milwaukee Journal, April 3, 1988, Wisconsin, a Special Section, p. 4, color illus., NewsBank America’s Newspapers, http://infoweb.newsbank.com (accessed August 24, 2017). Naglin, Nancy. On Exhibit: Founder's Choice. Americana 16, no. 1 (March/April 1988): p. 17, color illus. p. 17. Naglin, Nancy. On Exhibit-Founder’s Choice, Americana 16, no. 1 (March/April 1988): 17, color illus. Arts and Culture. The Milwaukee Foundation 1987 Annual Report: 21, b/w illus. Goldstein, Rosalie, ed. Guide to the Permanent Collection. Milwaukee, Wisconsin: Milwaukee Art Museum, 1986, p. 109, color illus. p. 10. City is Art Minded, in an Economic Way. The Milwaukee Journal, October 1, 1950, p. 1, NewsBank America’s Newspapers, http://infoweb.newsbank.com (accessed August 24, 2017). Stover, Frances. Interest in Art Has Grown with the Years and Flourishes Today. The Milwaukee Journal, August 8, 1948, p. 23, NewsBank America’s Newspapers, http://infoweb.newsbank.com (accessed August 24, 2017). Baur, John I.H. 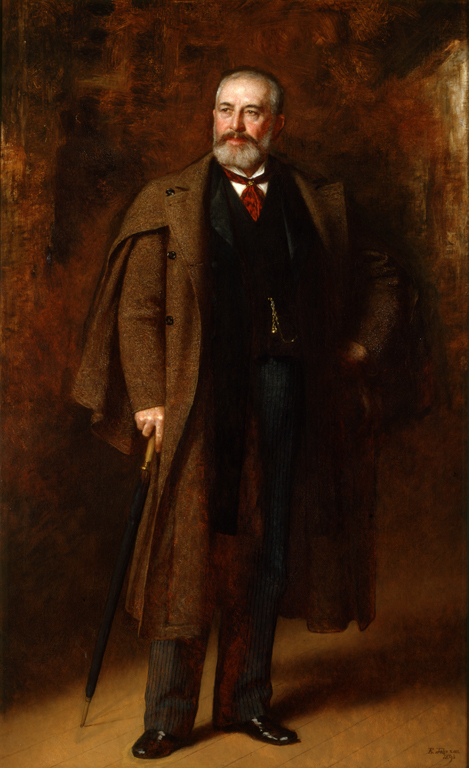 An American Genre Painter: Eastman Johnson. New York: Brooklyn Museum of Art, 1940, cat. 221. Layton Art Gallery. Catalogue of the Layton Art Gallery. Milwaukee, Wisconsin: Layton Art Gallery, 1921, p. 27, cat. 36, b/w illus. no. 36. Eldridge, E. C. Visit to Layton’s Art Gallery Wednesday Afternoon: Lecture on Art Works in the Gallery. St. Louis and Canadian Photographer 24, no. 8 (August 1900): 368. Works of Art: How to See and Enjoy Them. Wilson's Photographic Magazine 37, no. 524 (August 1900): 373. Pattison, James William. The Layton Art Gallery of Milwaukee. Brush and Pencil 3, no. 4 (January 1899): 216. Eastman Johnson, Milwaukee Art Center, October 20–December 3, 1972.